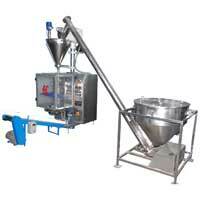 We have carved a niche as one of the overriding electric CTAPP machines manufacturers in India. We bring forth a large gamut of collar type automatic pouch packing machines that mainly includes electric CTAPP machine. Our CTAPP machines are in high demand due to their long lasting life and high reliability. We incorporate our CTAPP machine from the genuine quality raw material which ensures its durability. The range of collar type automatic pouch packing machines we proffer encompasses both superior quality and excellent performance. 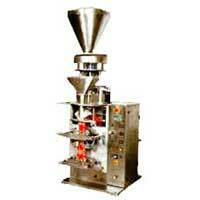 We deliver our collar type automatic pouch packing machines at very affordable prices which suits the budget of all. As part of our Collar Type Pouch Packing Machine, we offer Auger Filler Pouch Packing Machine, which is an vertical electro-pneumatic packaging machine. 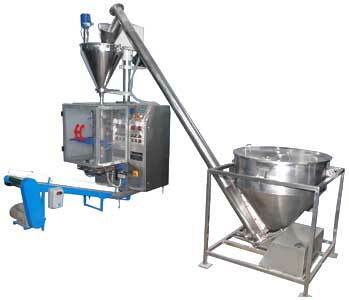 Our clients prefer our Auger Filler Pouch Packing Machine because of its high performance and glitch free operations.